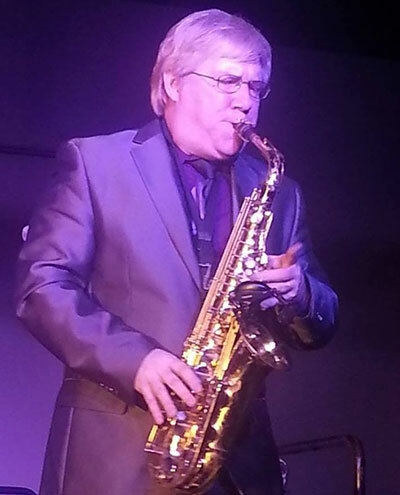 Like a Phoenix Rising from the Ashes- The Eddie Haskell Jazz Trio makes its return to the public eye this Thursday, August 27 at the Viking Tavern. This dynamic group performs a wide variety of music, soulful and funky as well as straight ahead jazz. Music starts at 8pm and goes until 10. The trio has Dave Turner on bass, Nick Schauer on guitar and Mike 'Sug' Tschirgi on drums with Charles Swanson on sax, as the Beaver. Sammy Eubanks plays Zola, 22 West Main, this Friday & Saturday, August 28 & 29, at 8:30pm. Go to zolainspokane.com for more information. Get out to Spokane County Raceway this weekend for a 24-hour sports car road race, Saturday, August 29 from 11am through Sunday at 11am. Free spectator admission both days. The musical The Clink is at the Bing Crosby Theater this Saturday, August 29 at 2 and 7:30pm. It's a local play, a la Orange is the New Black, that takes place in an Idaho jail. Ticketswest has your seats at www.ticketswest.com or 800-325-SEAT. Cowboy Supper Shows at the Rockin' B Ranch continue this Friday & Saturday, August 28 & 29 starting at 5:30. 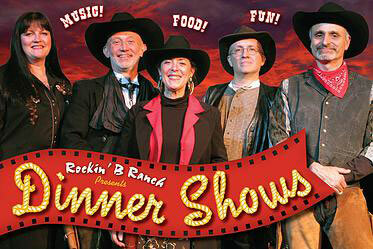 The supper show shows feature hilarious melodrama, full BBQ dinner, and cowboy trail music. For tickets and more information, visit www.rockinbranch.com. Tim McGraw was voted onto The Spokane Arena's Bucket List and now he will make a stop in the Lilac City for the 20th Anniversary Season. 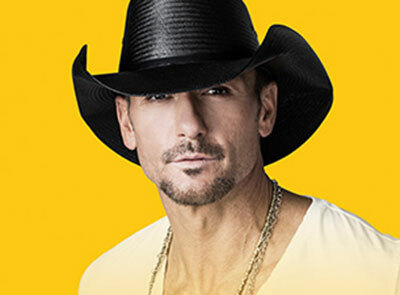 Tim McGraw will bring his Shotgun Rider Tour to the Spokane Arena on Thursday, September 3 at 7pm, with special guests Billy Currington and Chase Bryan. Tim McGraw has sold more than 40 million records worldwide and dominated the charts with 36 #1 singles. He's won three Grammy Awards, 16 Academy of Country Music Awards, 14 Country Music Association Awards, 10 American Music Awards, three People's Choice Awards and numerous other honors. His iconic career achievements include being named the BDS Most Played Artist of the Decade for all music genres and having the Most Played Song of the Decade for all music genres with 'Something Like That.' He is the most played Country artist since his debut in 1992, with two singles spending over 10 weeks at #1 ('Live Like You Were Dying' and 'Over and Over'). 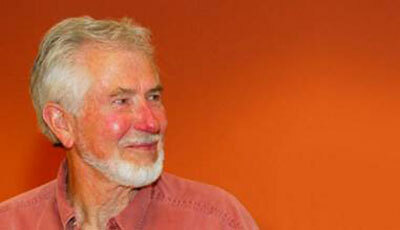 At 82 years of age, artist Mel McCuddin has a growing fan club, (and I am a member.) Collectors small and large swoon over the work of this humble, soft-spoken figurative oil painter from Millwood, Washington. And he isn't slowing down. For his September show at The Art Spirit Gallery, he will fill the walls - floor to ceiling - with new work that engages and entertains all audiences. McCuddin is well known for his exceptionally unconventional subjects that are curiously realistic yet abstract. These subjects are not predetermined but discovered on the canvas during the process. A hint of an image sparks inspiration, a unique idea develops, and the narrative unfolds. Over forty new paintings will be exhibited during his upcoming show at The Art Spirit Gallery from September 11 through October 2. The opening reception is on Friday, September 11. Images of McCuddin's work can be found on the gallery's website at theartspiritgallery.com. The exhibition of McCuddin's new work will be on the website by September 1. Grille from Ipanema, a Brazilian Steakhouse, will be relocating this spring to The Village at Riverstone at 2416 North Old Mill Loop in Coeur d'Alene after five years in their current Coeur d'Alene location at 601 Front Avenue. The leasing of the 6,100 square foot space to the Grille from Ipanema brings the occupancy of The Village at Riverstone East to 96% of the available 81,532 square feet. Grille from Ipanema serves up a distinctive experience of Churrasco, or Brazilian Barbecue, a traditional staple food of the cowboys of Southern Brazil, in a colorful, festive atmosphere. At Grille from Ipanema, waiters roam from table to table serving a variety of beef, pork and chicken on skewers from which they slice the meat onto patrons' plates. The restaurant offers an upscale, all-you-can-eat dining experience that continues to receive glowing reviews and keeps customers coming back. Grille from Ipanema is expected to open in their new location in the spring of 2016. In the meantime they are open 11am to 10pm daily at 601 Front St. in Coeur d'Alene. The website is grillefromipanema.com and the phone number is 208-676-1122. On Saturday, September 5, at 6pm, Friends of Pavillion Park will present the Lud Cramer Memorial concert featuring the Spokane Symphony with music director Eckart Preu. Admission to the performance is free. Audiences are encouraged to show up prior to the start time with chairs, blankets, a picnic supper, and friends and family to enjoy the evening. Concessions will be available through the Liberty Lake Kiwanis. Enjoy a mix of classics, show tunes, and patriotic marches. Prepare to relax under the setting sun as you enjoy a music filled night, courtesy of Spokane's favorite orchestra. The Gonzaga University Student Body Association and the Office of Student Involvement & Leadership will host nationally acclaimed stand-up comedian Kevin Hart's 'What Now?' Tour at 7pm, Wednesday, September 9 at Gonzaga's McCarthey Athletic Center (801 N. Cincinnati St.). Tickets for the public are available now for $90 via the TicketsWest website. Gonzaga students had the opportunity to purchase tickets at a reduced cost on campus from the GSBA on Monday; another limited allotment of tickets will be made available to GU students on Friday. In addition to his current comedy tour, Hart appeared in two movies this year: 'The Wedding Ringer' and 'Get Hard,' opposite Will Ferrell. The consummate worker, Hart is also a force in television, executive producing the show, 'Real Husbands of Hollywood' that began its third season last September. 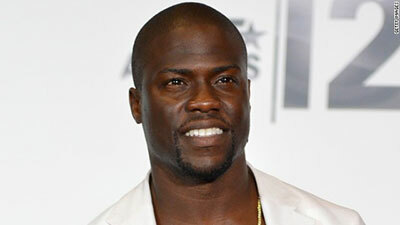 In 2016, Hart will appear in the movie 'Ride Along 2,' the sequel to the 2014 hit 'Ride Along.' In addition, Hart will appear in the action comedy 'Central Intelligence,' opposite Dwayne Johnson, as well as in the animated film 'PETS.' Rounding out the year, Universal Pictures will release a film from Hart's 'What Now?' tour. Artist Doug Thurman's show at the Kolva-Sullivan Gallery, 115 South Adams Street, opens with a reception Friday, September 4 from 5 to 8 pm. the show 'Paintings from the studio of a traveler' feature oil on paper, oil on canvas, photography, and mixed media. The show runs from September 4 to September 26, 2015. Gallery hours are by appointment, call 509-458-5517. Also this Thursday, August 27 from 5:30-7:30, singer/songwriter Bill Bozly will perform acoustic guitar as part of Arbor Crest's Performers on the Patio summer concert series. Photography by Mary Jo Rawlsky will be on display. No Cover charge for Thursday concerts. This Sunday, August 30, enjoy the sounds of pure country with the Ryan Larsen Band from 5:30 to sunset. Cover is $8. For a complete list of plants for sale, visit www.thefriendsofmanito.org.